Are you in the market for a new car? Whether you're shopping for yourself or a loved one, December is a great time to buy. Demand tends to decline at the end of the year, making prices more attractive as dealerships aim to finish the year off strong. Additionally, car manufacturers offer better rebates at the end of the year to get rid of remaining 2016 models. Read on for more reasons to buy a car over the holidays. New car models are released in the fall. Dealerships aim to have the old model sold by then, but this doesn't always happen. The 2017 models have arrived, and dealers are slashing the prices of 2016 models to clear their inventory. If you're interested in a 2016 model, then now is the perfect time to buy. 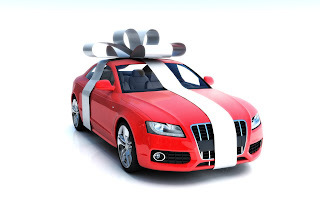 Car dealerships are known to offer holiday promotions. From President's Day to Black Friday, dealers often offer special deals on holidays, and Christmas and New Years are no different. Manufactures usually offer special financing and cash-back deals during holidays, and dealerships often add on to these special offers. The deals are even better in December, as dealers and automakers are pushing to meet their annual sales targets. Buying during the holiday season can save you hundreds and even thousands of dollars on a new car. While there are end-of-the-year savings to be had on all types of cars, convertibles are especially attractively priced in December. The cold weather has set in in New Jersey, and it's not very common for people to shop for convertibles in the colder months. To attract buyers in this slow season, more bargains are offered. While you'll have to wait a few months until you can drive with the top down, you'll be extremely happy with your purchase come spring. Autoland Toyota is offering a variety of specials on 2017 and 2016 vehicle models, including the new 2017 Jeep Grand Cherokee, 2017 Toyota Camry, 2017 Toyota Rav4, 2017 Toyota Corolla, and more. Take advantages of our low prices by visiting our NJ Toyota dealership on Route 22 East in Springfield. Before buying any used car you need to get a vehicle history report aka carfax and have a trusted mechanic check it out.